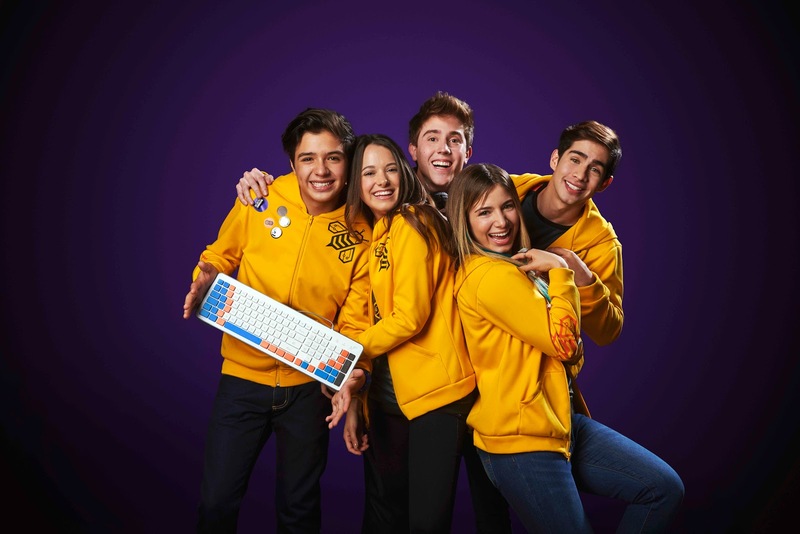 TeenNick Israel, Nickelodeon Israel's channel for tweens and teens, will premiere Noobees, Nickelodeon Latin America's (Latinoamérica) hit scripted series which takes viewers inside the high-stakes world of eSports, very soon! Following launch, new episodes will continue to air regulary on TeenNick Israel. Noobees follows of a group of teenage gamers who have the opportunity to live out their biggest dream, participating in the eSports Championship, creating “Noobees”, an eSports team that will compete to win the Professional Video Games League. Update (7/2): Noobees is now on-air on TeenNick Israel! Are you a gamer? N00bees is perfect for you! Not a gamer? You're gonna love the show, too! N00Bees, whose title denotes a person who is new at playing an online game and/or is bad at it, follows Silvia, her brother Erick and their friends Tania, Pablo and Niko. Silvia has never been interested in video games. She has always preferred the outdoors and playing her favorite sport, basketball. She is the opposite of her father, Hector, and her brother - who, for them, video games are everything! When Erick is presented with the unique opportunity of participating in the E-Sports Championship, his greatest dream, Silvia does everything possible to help him achieve it, even if it means becoming a professional gamer herself. Silvia and Erick, along with their friends, create N00Bees - an E-sports team that will compete for the title at the Professional Video Games League. But this task will not be easy. Besides dealing with all the usual problems associated with growing up, Silvia will have to learn how to play video games while competing against David, the best player in the region and with whom she'll fall in love with. What nobody knows is that something will happen to Silvia that will make her gain some incredible powers allowing her to control the way she plays videogames, and this will be epic! All this will unleash all kinds of adventures and moments that fans CANNOT miss! The show features new and established pan-regional actors, including Mexican natives Michelle Olvera (La Doña, Huérfanas, O Señor De Los Cielos) and newcomer Andres de la Mora; Colombians Maria Jose Vargas (Majo Vargas YouTuber e Celebridade no Instagram, Puro Flow, Francisco El Matemático) and Ilenia Antonini (Chica Vampiro); and Argentinean Lion Bagnis (La Doña, Baila). Additional cast members are Colombian actress and model Karen Martinez (Cartel De Los Sapos, Final Tiempo), Brandon Figueredo, who returns to Nickelodeon screens following his role in Nickelodeon Latinoamérica's hit series Yo Soy Franky, and Brazilian actress Clara Tiezzi (Malhação, Rebelde), among others. The show began filming in Televideo, MEDIAPRO’s production studio in Bogotá, Colombia in May 2018, and made its world debut on Nickelodeon Latinoamérica in September 2018. The series, featuring 60 1-hour episodes, will also run on the free-to-air (FTA) network RCN in Colombia. The Spanish language series is also being adapted to Portuguese for Nick viewers in Brazil (Brasil), where it'll premiere on Monday 4th February 2019 at 19h. MEDIAPRO Colombia’s experience includes productions such as Chica Vampiro (Vampire Girl) which currently stands as the Nickelodeon favorite among viewers aged 4 to 12, bringing in an average of over 648,000 viewers. 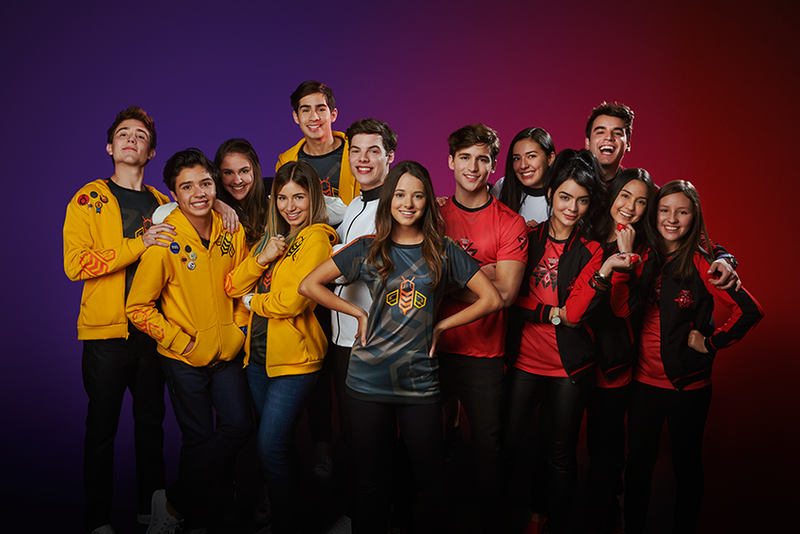 To support the series, Nickelodeon Latinoamérica launched several short-form digital series to tie into the show, including Mystery Man, Rutizados and Game Mode, which fans could watch online at mundonick.com, the Nick Play app and on Nickelodeon Latinoamérica's official YouTube channel. Nickelodeon also partnered with Mixer for a series of weekly interactive live streams, and launched the NOOBINFLUENCER contest. To support the Brazilian debut of Noobees, fans can visit a immersive Noobees-themed interactive truck that will take them into the heart of the show and "Rocket League", the game featured in the series. World Information Tracking (THE WIT) highlighted Noobees in their “Fresh TV Kids Live-Action Scripted Series” conference dedicated to new live-action TV series for children at MIPTV (Cannes) as one of the most innovative and original audiovisual productions for creating new trends in children’s fiction on the international market. 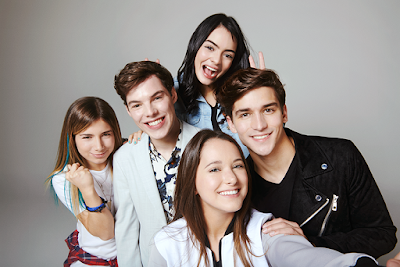 Noobees is the latest daily scripted series from Nickelodeon Latinoamérica acquired by Nickelodeon Italia, following the success of Kally's Mashup (קאלי'ז מאש אפ). Noobees is also set to air on Nickelodeon Africa from Monday 18th February 2019 at 17:45 CAT. More Nick: Nickelodeon Latin America Kicks Off Co-Production ‘Club 57’ with Italy’s Rainbow Group | MIPJunior | MIPCOM 2018! Originally published: Monday, January 21, 2019. Additional sources: Google Translate, tv-guide.walla.co.il. Follow NickALive! on Twitter, Tumblr, Reddit, via RSS, on Instagram, and/or Facebook for the latest Nickelodeon Israel, Teen Nick Israel and N00bees News and Highlights!